Ron Bennett Marble Works is one of Australia’s largest wholesalers of natural stone slabs. All of our materials have been expertly selected to provide you with the very best quality surface materials for your project. With two generations of service to the industry our natural stone specialist knowledge ensures you find the ideal materials for your project no matter how large or small. Ron Bennett Marble Works Gladesville specialise in importing Marble & Granite. We have been established for over 50 years and specialise in sourcing and supplying stone from the best quarries in the world. These quarries include countries such as Italy, Spain, Portugal, Turkey, Brazil, India, Zimbabwe and South Africa. Our showroom, warehouse and yard includes 200 colours of natural stone. We pride ourselves on providing quality stone at affordable prices. We specialise in white Marble from the Carrara quarries in Italy including Arabescato, Statuario, Calacatta and Carrara. 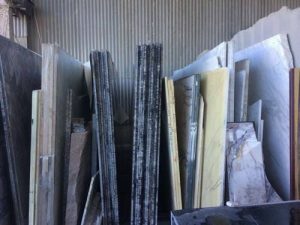 We have an extensive range of Marble as well as Granite. 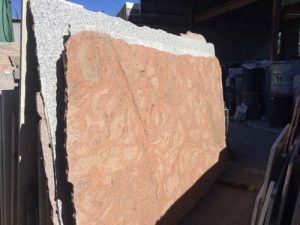 We work with some of the most talented designers and architects in Australia which means that our stone can be found in some of Australia’s most exclusive homes and apartments as well as larger projects like shopping centres and banks. No Waiting Times & see our Stock in our Showroom, Warehouse & Yard. Interested in coming to see us? Please refer to our directions to find us. We are open Monday to Friday from 7:00am to 4:00pm and on Saturday by appointment. If you would like to see us on Saturday it is by appointment only. Please call on (02) 9809 3623 to arrange your visit. We believe that natural stone is one of the most versatile and beautiful materials used for centuries for flooring, paving, indoor and outdoor cladding, worktops and fire surrounds. Our customer friendly stock yard is situated in Gladesville, Sydney and holds over 200 different types of marble & granite available to view from stock. 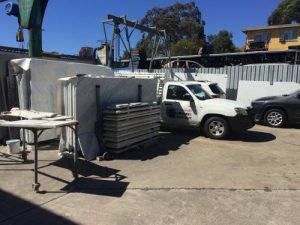 Bennett Marble Pty Ltd is an Australian-owned, family-orientated business which has been established for more than 50 years.